Domenick DellaNeve passed away recently. You didn't know him; I didn't either. But he lived a long, full life. And from all accounts he lived a very rich life, a life that touched many others. I imagine that many people wouldn't have considered Domenick a particularly exceptional man - at least not in the (sometimes flawed) terms that society considers exceptional. He had a large family that loved him, and he had many friends. Domenick absolutely loved Christmas. And his love for the holiday was reflected in the extravagant Christmas decorations that he poured untold hours into setting up every year. 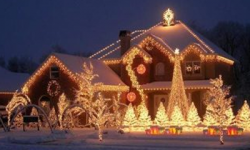 Tens of thousands of blazing bulbs; twinkling-garland-draped trees; nativity scenes; Santa and his reindeer - all combined to create a breathtaking tribute to that most wonderful time of the year. Passing motorists would slow and pull to the curb, mouths agape in awe of Domenick's magical display. Passersby would pause and admire the overwhelming bounty of beauty in joyful, silent solitude. Over time, the DellaNeve's home came to be known as the "Christmas House." 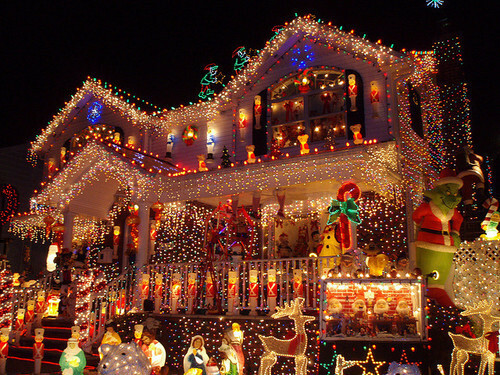 If you lived anywhere in the vicinity and you heard someone mention the Christmas House, you knew exactly what that meant. And that tradition continued for decades. Each year, parents - who as children had thrilled to the sight of the Christmas House - would take their own kids for a visit to that magical shrine in tribute to the season. Each year, a growing flood poured into the DellaNeve's mailbox during the holiday season, letters of thanks for the Christmas House (sometimes including checks - which were always returned - to help pay the DellaNeve's costs). And each year, the fame of the Christmas House grew. But now the DellaNeve's are gone (Domenick's wife preceded him in death). And people in the neighborhood wonder what Christmas will be like without the Christmas House. Perhaps someone will step up to carry the tradition forward in the DellaNeve's neighborhood. I don't think that "Christmas Houses" are all that rare. There are lots of people just as passionate about Christmas as were the DellaNeves. We call them "Christmas Enthusiasts." And many neighborhoods are blessed with the presence of a Christmas House - a home that touches countless lives through the years. 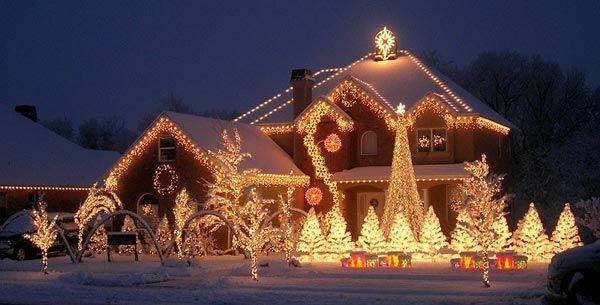 Does your neighborhood have a Christmas House?